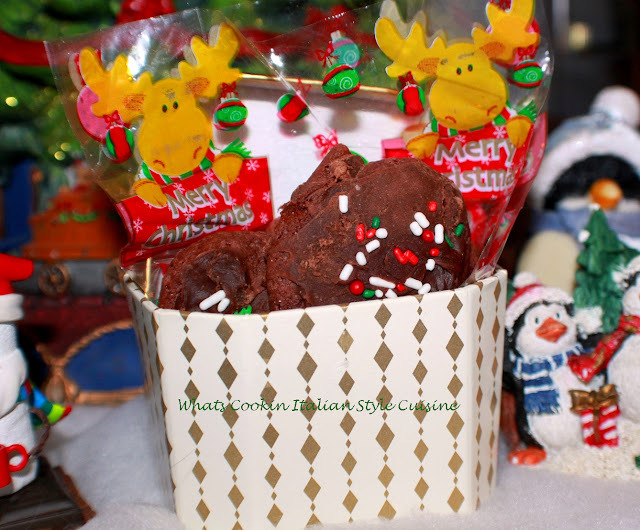 If you are looking for the perfect chocolate cookie this year look no more! Every year we have this tradition to bake cookies around Christmas and usually around 14 to 18 kinds. This one is a long time favorite and for all those Chocoholics out this this one's for you wherever you are! In a medium size bowl cream the butter eggs and shortening until light and fluffy. Combine rest of ingredients folding in the chocolate last and nuts if using. 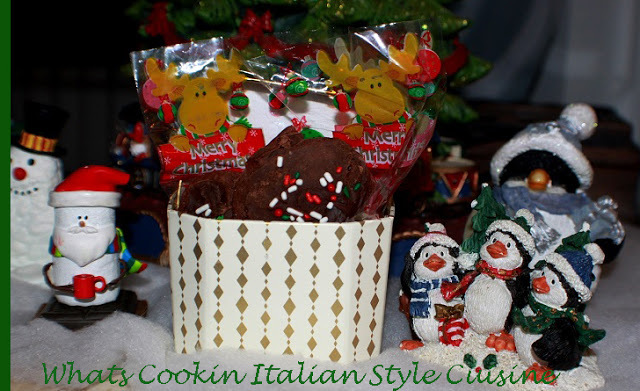 Drop by teaspoonsful on an ungreased cookie sheet or parchment paper lined. Bake on preheated oven of 350 for 10 minutes just till set. Cool and frost with chocolate frosting and sprinkles.